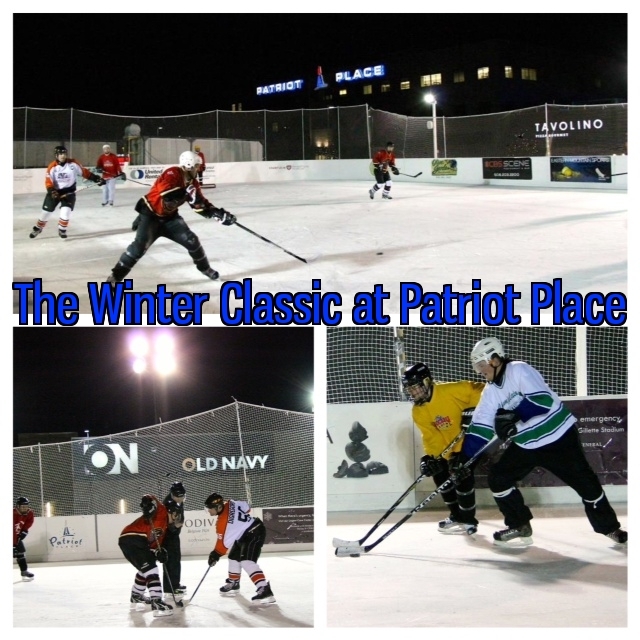 Our fifth-annual Winter Classic pond-hockey style tournaments will take place at the outdoor rink at Patriot Place in Foxborough in February 2020. Come out and enjoy hockey the way it was meant to be played - outside! 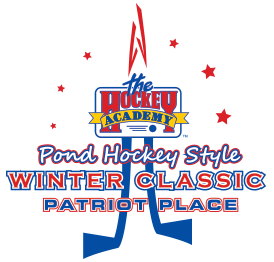 Each pond-hockey style tournament will be played 4 on 4. 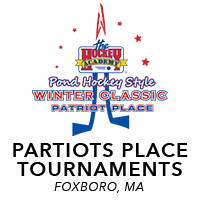 The tournament will use the long narrow "pond hockey" nets. Three game minimum, four games potentially. "Open" means any level team within the age classification may enter that division. There will be an official to drop the puck, enforce the rules and keep play moving.